If you wish to see the beautiful neo-baroque palace of the famous Szechenyi Baths from the inside, but you do not plan to actually take a bath in the pools, or have a massage at Szechenyi Baths, you can take a short and affordable guided tour in the building. 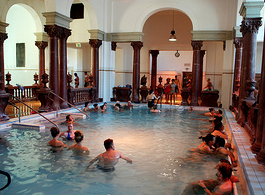 The tour is indeed short, as the bath complex is not like a museum: there are actually 500-1,500 people swimming and soaking in the 18 baths and pools of the huge bath complex. 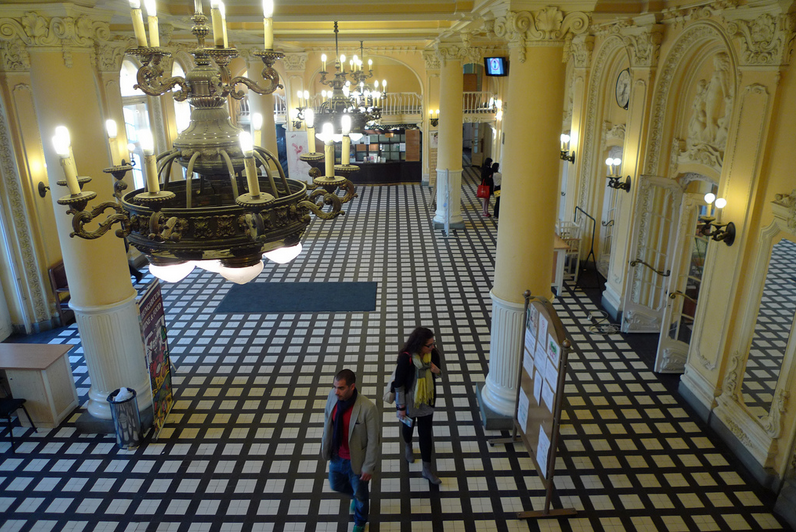 The Szechenyi Bath Tours take about 15 minutes, and you will see many of the rooms (e.g. the representative reception room called the Marble Room), pools and baths of the palace. 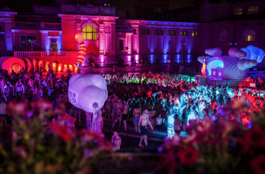 Where can I buy a ticket for Szechenyi Bath Tours? You can buy your Szechenyi Bath Tour ticket at the cashier in Szechenyi Baths. 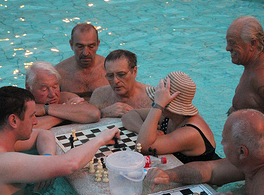 How much does it cost to take part in a Szechenyi Bath Tour? 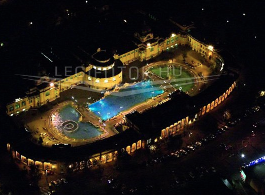 The cost of the Szechenyi Bath Tours is HUF 3,000 / person (length approx. 20 min). 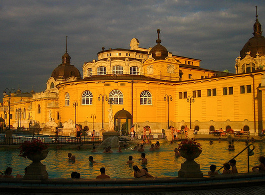 When are Szechenyi Bath Tours scheduled? Tours start at 10.30am and 4pm from Monday to Sunday. The tours are only in English or Hungarian. For further appointments or languages, please contact us via email at info [at] szechenyispabaths.com. Taking a peek inside the Szechenyi Baths and Pool complex will reveal how big the building is (max capacity is 1,800 people of all the 18 pools, plus there are saunas, steam rooms, etc.). The architecture of the building is beautiful, with marble statues, decorative neo-baroque curves, light and elegant yellow-white walls, columns, which are accented by the black and white floors. 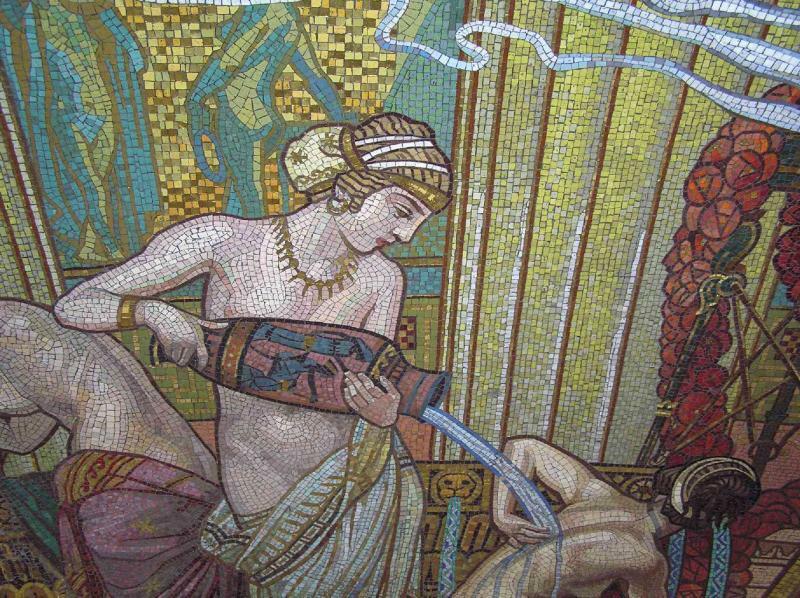 The corridors can feel weird and prove that Szechenyi Baths was established at an age when medicinal water treatments and public health institutions were literally more institutionalized. A sharp contrast with today’s fun wave pool and other merriment.